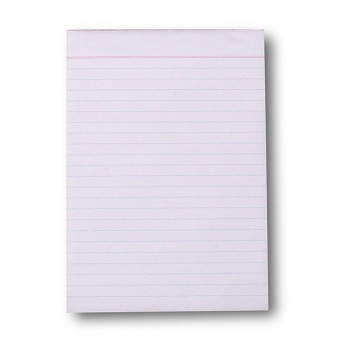 Quality Value 60gsm Bank Ruled A4 Office Pads. Ideal for everyday use, meetings and conferences. Size - A4 (210 x 297 mm) with 80 leaf. 8 mm Feint ruled White pads. Ideal for everyday use and meetings. Size - A4 (210 x 297 mm) with 100 leaf. Quality Value 60gsm Bank Ruled A5 Office Pads. Ideal for everyday use, meetings and memo pads. Size - A5 (210 x 140 mm) with 100 leaf. 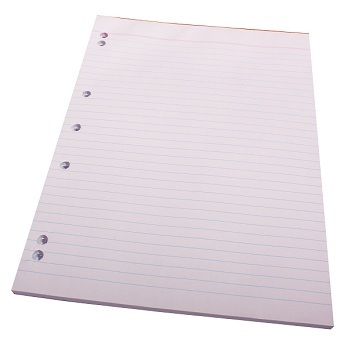 Pre-punched 7 Hole Ruled Pads perfect for Binders and Files. 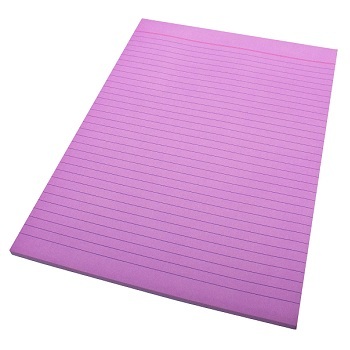 Quality 60gsm Bank pads ideal for everyday use and meetings. Size - A4 (210 x 297 mm) with 90 leaf. Quill Quality Coloured 70gsm Bond Ruled Office Pads. Add colour to letter writing, or colour code your notes. Size - A4 (210 x 297 mm) with 70 leaf. Feint ruled Yellow pads; traditionally used as legal pads. 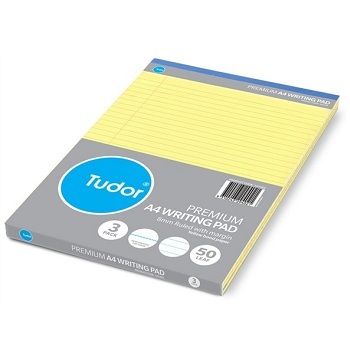 Tudor Executive A4 Office Pads in White and Yellow. Quality bond paper, stiff backing board with micro-perforations for easy removal of pages. Size - A4 (210 x 297 mm) with 50 leaf. 8 mm ruling with margin. Available in a choice of pack sizes; ideal for compendiums. 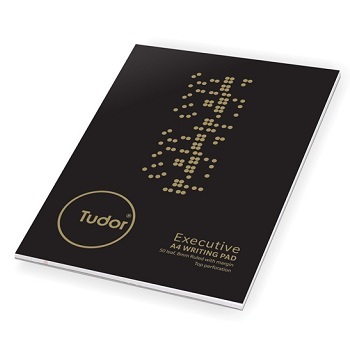 Tudor Executive A4 White Ruled Office Pads with Cover. White pads with 8 mm ruling with top margin. Pack of 10 pads; ideal for boardroom meetings.